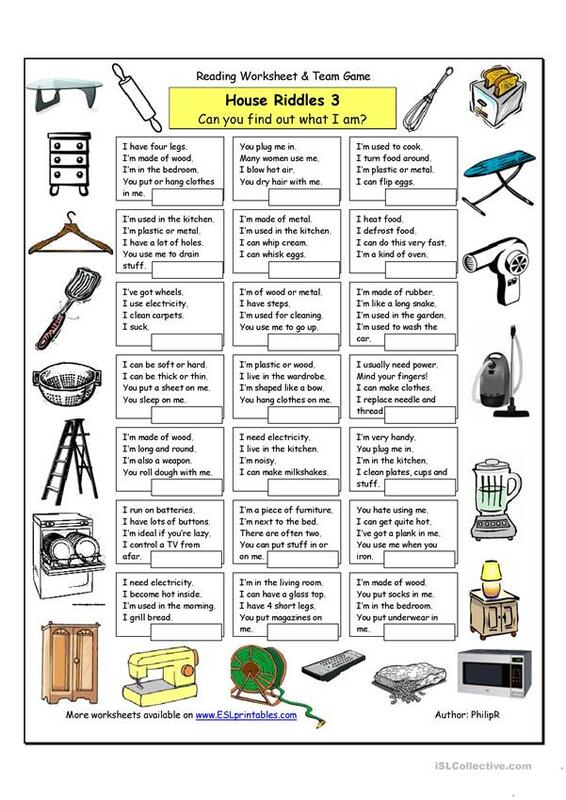 This worksheet focuses on ´house´ vocabulary (such as furniture and household appliances) and and can either be used as an individual or team reading exercise (page 1) or as a team game (page 2). 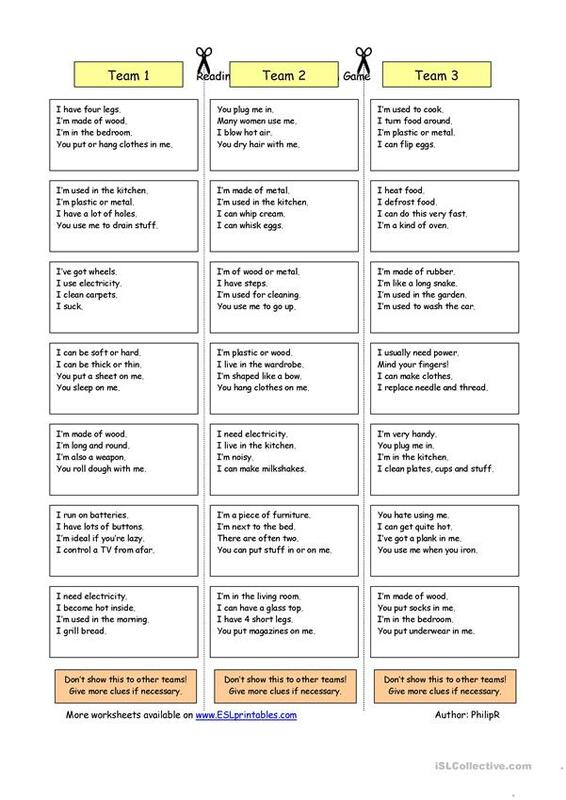 As an extension, you can even make it into a writing lesson which students will surely enjoy. Full instructions provided on page 3. Have fun. This downloadable handout was created for business/professional students, high school students and adults at Pre-intermediate (A2), Intermediate (B1), Upper-intermediate (B2) and Advanced (C1) level. 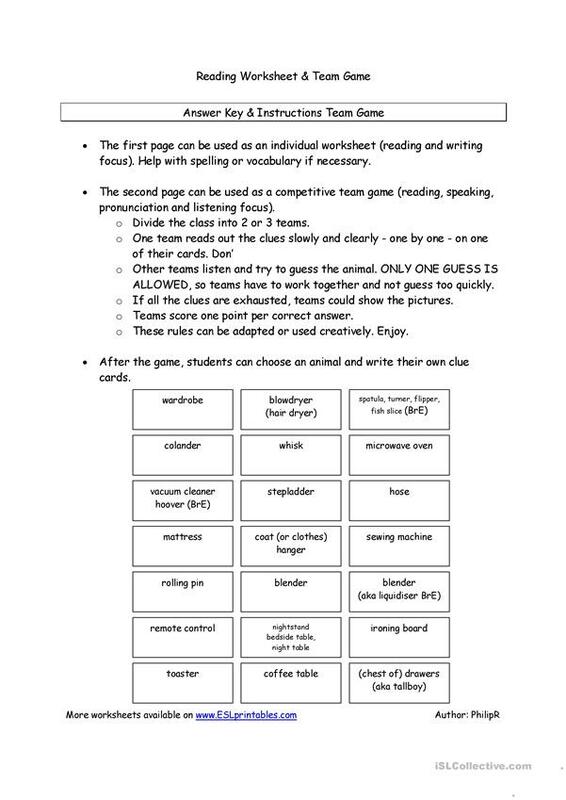 It can be used for enhancing your groups' Listening, Speaking, Reading and Writing skills. It features the theme of Home. It includes the answer key, too.